Your Assignment: Read Wallace Stegner AND John Wesley Powell in the Anthology (pp. 47-71). 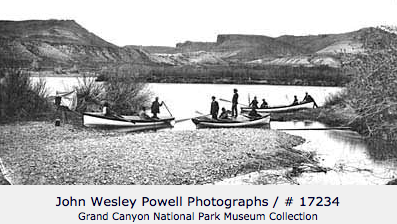 The John Wesley Powell's readings are available on-line here: Colorado River. Because of copyright restrictions, the Wallace Stegner's reading is not. The Second Reading is Powell’s words directly in his book: The Exploration of the Colorado River and Its Canyons. Wallace Stegner is an acclaimed novelist who wrote about the west. Most of Stegner’s works are fiction, but his celebrated biography on John Wesley Powell (Beyond the Hundred Meridian) is a non-fictional work. Powell is from the Gilded Generation (same as Whymper and Twain). 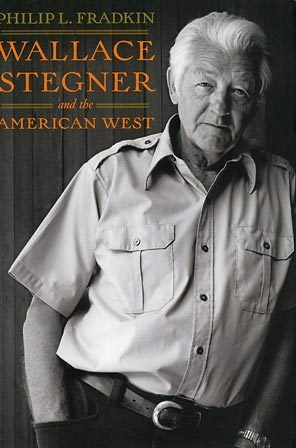 Stegner, his biographer, is from the GI Generation — although he is quite close to the Lost Generation, an important generation from a writing standpoint, claiming such great writers such as Ernest Hemmingway, F. Scott Fitzgerald, T.S. Eliot & others. Stegner was born in 1909 in Iowa. In 1925 he attended the University of Utah. There he took a class from Idaho’s Vardis Fisher (more about Vardis Fisher below). Stegner was a westerner through and through, becoming thoroughly acquainted with the western landscape, its culture and environment. He was an active conservationist. In 1961, he served as assistant to the Secretary of the Interior and helped to develop the National Parks Bill which preserved key western lands. He also served as a member of the National Park Advisory board (1962). Our reading from Beyond the Hundred Meridian is about John Wesley Powell’s climb of Long’s Peak. The Long's Peak climb, of course, is just one event in Powell's life. Stegner, in his biography of Powell, goes on to tell the story of Powell descending the unknown canyons of the Green and Colorado River. Stegner’s version of Powell's Grand Canyon trip was described by two scholars (Forrest and Margaret Robinson) in this way: "The 60 pages that Stegner expands on this incredible journey are some of the most exciting that are likely to found in all of American History." Stegner’s Beyond the Hundred Meridian has also been described as prophetic: it tells what happened, what is happening, and what will continue to happen. Let’s digress a bit and look at Vardis Fisher (1895-1968). As I mentioned above, Wallace Stegner took a class from him. 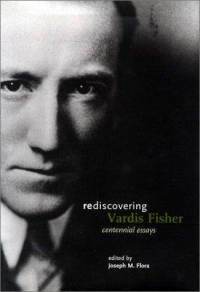 Vardis Fisher, from the Lost Generation, is Idaho’s greatest novelist. Hemingway is sometimes claimed by Idaho, but Vardis Fisher was born in Idaho. Many of his novels take place in Idaho, and he lived in Idaho a good part of his life. Fisher’s novels, like no others, describe what it was like to be a farmer in the early days of the state. He grew up in the Antelope Hills area along the Snake River between Heise and Swan Valley. Some of his novels included Toilers of the Hills, Dark Bridwell, Children of God and Tragic Life. His most famous work is Mountain Man, but you probably know of it by a different title. It was made into a movie in entitled "Jeremiah Johnson" (1972) which starred Robert Redford. You may have noticed an interesting relationship: Vardis Fisher teaches Wallace Stegner who, in turn, teaches Edward Abbey. One generation giving a gift to another. William Gilpin is mentioned by Wallace Stegner in the short piece that you read about climbing Long's Peak. Let’s take a look at who he is. 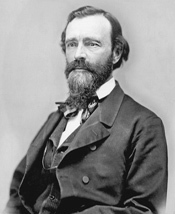 William Gilpin was the first territorial Governor of Colorado in 1861. He only made it a year and he was replaced because of his involvement in a scandal. That didn’t slow him down. He went into land speculation and died a rich man. He also became known as the great promoter of the west, but he played lose with the truth. In fact, he was great liar. The Colorado River, according to Gilpin, cut across lands of wonderous agricultural potential. He also described several plateaus - all lacking water - which he claimed were farming paradises. Even though his pronouncements were pure fabrications, people believed him – or wanted to believe him. Gilpin's vision became a part of the West's mythology, one in which politicians, businessman and newspaper editors bought into. Powell, on the other hand was a scientist, and science takes time. It requires research and careful planning, not Gilpin’s careless prophesies. Powell would eventually become one of the nation's experts on the West, on its topography, climate, and geology. Stegner uses Gilpin as a literary device. Gilpin represents one view of the west while Powell represents another. Throughout Beyond the Hundred Meridian, Gilpin’s views are counterpoised against Powell’s. With the conclusion of the Civil War, the Federal government wanted to find out more about the west. What mineral resources were there? Could it be farmed? How easily could it be settled? Moreover, maps were badly needed. With this in mind, from 1867 to 1879, legislators on Capitol Hill sponsored what came to be known as the four "Great Western Surveys." Dr. Ferdinand Hayden. A geologist, he started out with a Nebraska survey. 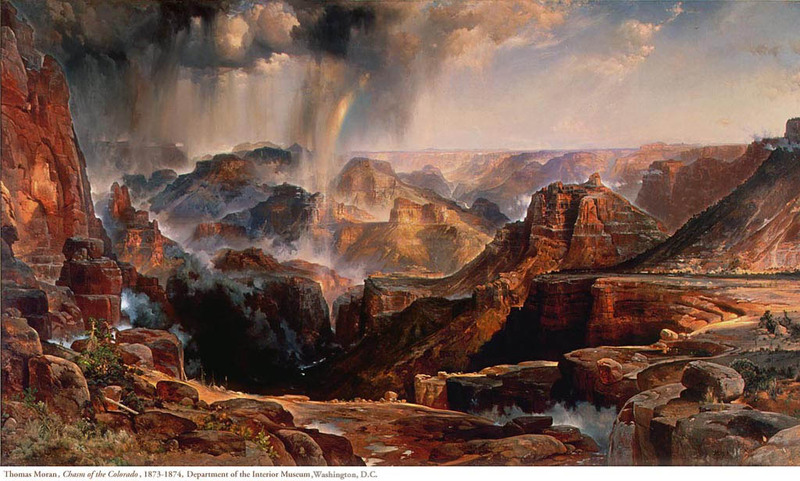 Then he organized an expedition to Yellowstone (painter Thomas Moran and photographer Henry Jackson were with him on the Yellowstone expedition). He follow the Yellowstone expedition with exploring trips to the Tetons and to the Colorado Rockies. Clarence King. He explored a 100 mile belt either side of the 40th parallel. He is largely known for his explorations of the Sierra Mountains in California. John Wesley Powell. Powell ran the Colorado River through the Grand Canyon, and later, he organized mapping surveys of the Colorado Plateau. Lieutenant George Wheeler. He was put in charge of the "Geographical Surveys West of the 100th Meridian." First in the summer of 1867 to the Colorado Rockies. Second in the summer of 1868 (also to the Colorado Rockies). 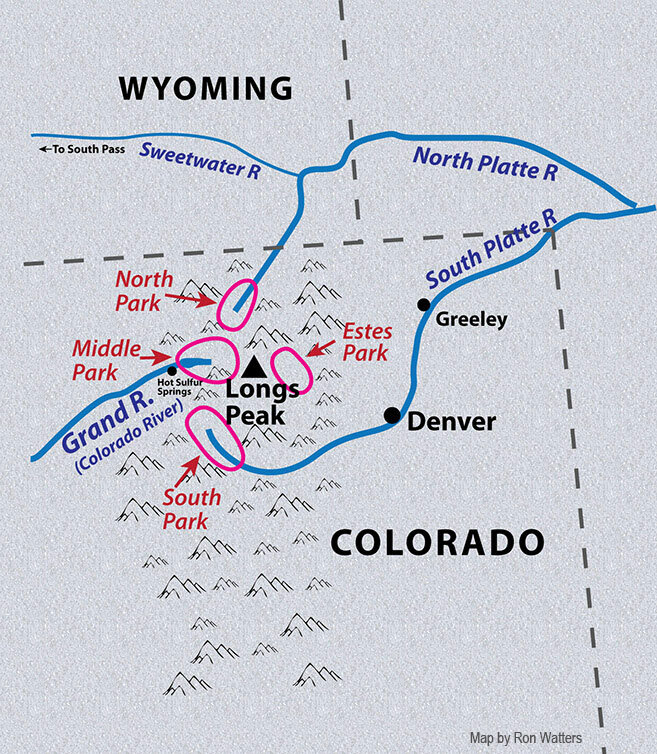 The first ascent of Long’s Peak occurred during this field trip. Jack Sumner – Trapper and hunter. Ran the trading post at Hot Sulphur Springs in Middle Park. 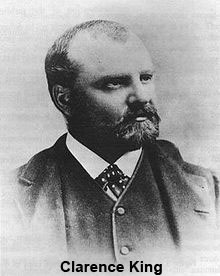 Walter Powell – John Wesley Powell’s brother. Had been a POW in Civil War. Moody. Given to violent outbursts. 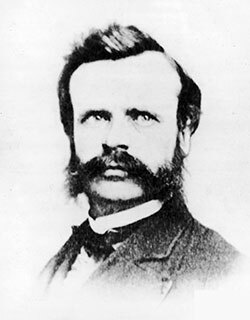 John Wesley Powell stayed in Colorado upon the completion of his summer field studies and spent that winter (1868-69) along the White River (a tributary of the Green River). In the early spring of 1869, he went back East, built boats, and then very quickly returned west to the town of Green River, Wyoming, with the boats. (Transporting the boats was relatively easy. The Transcontinental Railroad was complete by 1869, and it passed through Green River.) He launched on the Green River on May 24th. Powell did bring back some scientific information from the 1869 journey down the Colorado River, but the trip, itself, was mostly about surviving. The farther Powell's party went down the river, the more vulnerable they became. Powell organized a second trip down the Green and Colorado Rivers in 1871. This time, he brought back a wealth of scientific information and was able to more accurately map the rivers. Walter Powell - Powell's brother. Jack Sumner - A trapper and experienced outdoorsman. He had been with Powell year before on Long's Peak. Willam Dunn - Young, in his 20's. Dirty & unshaven. Dunn left at Separation Canyon near end of trip. 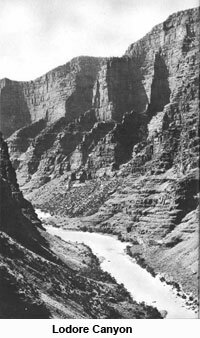 Captain Oramel and Seneca Howland (age: 36 -27) Both also left at Separation Canyon near end of trip. Andy Hall - 18. The "kid" on the journey. Originally from Scotland. Suggested the name "Lodore Canyon." Shot down in 1882 while guarding stage coach. Frank Goodman - Left the party at Unita River. Segeant George Bradley - Served in the Civil War. 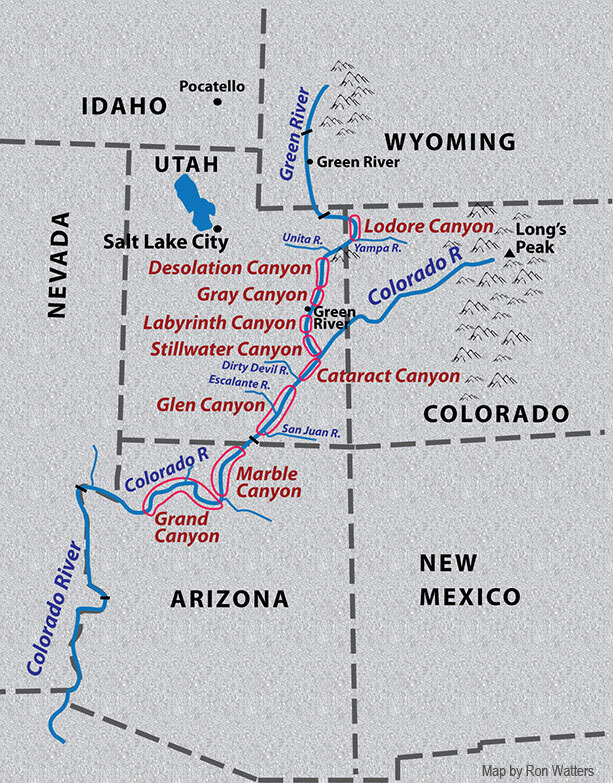 First reading takes place in Lodore Canyon. This is where Disaster Falls is located. They lost one boat (No Name) and food and supplies. It was difficult stretch of river and they encountered lots of bad rapids. The third reading takes place in the Grand Canyon. It’s near the end of the Grand Canyon when three members of the party desert the expedition and walk out. They were never heard from again.